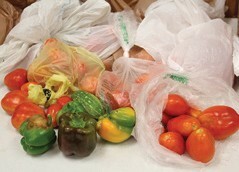 October is Cooperative Month and this year Peoples celebrated by giving back. Peoples did a charity drive for the Rainbow Room that serves Wood County and the Winnsboro Community Resource Center. Employees and customers were encouraged to donate peanut butter for the Winnsboro Community Resource Center and diapers and shoes for the Rainbow Room. Peoples was able to collect 152 total items. The Winnsboro Community Resource Center will receive 66 jars of peanut butter. 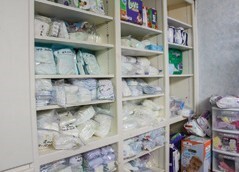 For the Rainbow Room, Peoples collected 54 packages of diapers and 32 pairs of shoes. Here is a highlight of each of these charities and how they impact the community. Sometimes, something as simple as a toothbrush can make a difference for a child in need. The Rainbow Room provides items for children recently taken into foster care, including those removed from abusive homes or methamphetamine labs as well as children whose parents haven’t provided the essentials — like a toothbrush. “One child just marveled that the tooth- brush was just for him and he didn’t have to share it with anyone,” says Tracey Edwards, president of the Wood County Child Protection Board. The Rainbow Room, an initiative Laura Bush started when she was first lady of Texas, is available 24 hours a day, seven days a week as a resource for child protective services workers who may have to remove a child from a dangerous home. “They go get anything that will make that child feel a little more comfortable and give them a sense of normalcy,” Edwards says. The Rainbow Room always needs financial donations or new items for children, including diapers, car seats, school supplies, formula, blankets, toys, books, clothing, personal hygiene items and household cleaning supplies. For many people, hunger in the community is easily overlooked, says Art Walden, executive director of the Winnsboro Community Resource Center. Founded in 2010, the resource center provides canned vegetables, soups, tuna, milk, ramen noodles, pasta, peanut butter, muffin mix, cereals and other grocery store staples for struggling families. Walden says as many as 65 percent of local families fall under the poverty line, including many single mothers who work jobs that don’t pay enough to support their families. “They don’t make enough to pay child care and buy food,” Walden says. Some of the food is donated from individuals or the Winnsboro Farmers Market, but much of it is purchased from the East Texas Food Bank for about 18 cents on the dollar compared to retail prices. Also, the center always accepts donations of nonperishable food items. They also welcome more volunteers to join the dedicated team. “Our volunteers really have compassion for these folks who come for help,” Walden says. 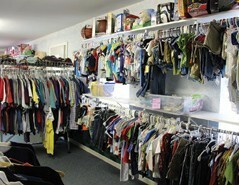 The Rainbow Room provides toiletries and other needed items for children taken into foster care. 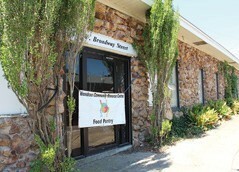 The Winnsboro Community Resource Center helps families in need by giving food and emergency funds.